From the beginning of human history people have dragged any load too heavy to be carried. But large objects are often of awkward shape and texture, liable to snag on any roughness in the ground. The natural solution is to move them on a platform with smooth runners - a sledge. UNK, company that has been active in the export and shipping of Cars, Vans, Trucks, heavy machine and all type of containers. UKN, moves over 1000 vehicles per year. 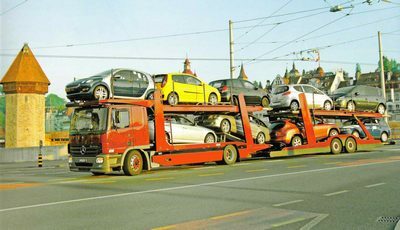 Cars, van,Trucks, heavy machine , if is has wheels, we can move it. It all starts with our customized pick up services that take into account, our customer's location, budget and overall requirements. Upon entry of vehicles into one of our warehouse locations a full and complete dock receipt in issued. Pictures are taken and copies emails to our customers. Either by container service, RO-RO or airfreight, we make sure your vehicle is taken care of and is handled with the utmost attention to deal. Securing vehicles during transit is one of the most important stages of any international shipments. Our warehouse crews are professionally trained and our equipment is state of the art. Our attention to detail is what has kept us in business, since 2002. UKN. has specialized in international shipping since 2002. 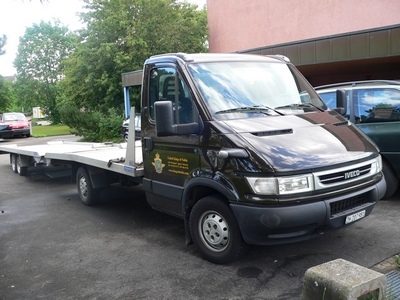 You can be confident that your vehicle(s) or yor containers, will arrive at their destinations in the same condition you handed them over to us. Our safety records for cargo shipment delivery have exceeded all industry standards. Thus, whether you are moving a car, vehicle, boat, household goods or general cargo, you will be comfortable knowing that our shipping company will take care of all aspects of your relocation needs. For competitive car shipping rates and a free quote contact us today. UKN realize that you need the security of knowing you are Working with a company you can trust that has experts you can depend on. Q: Are pick-up and arrival times guaranteed? A: Automoving Online can not guarantee exact times for pick-up or delivery due to complications including weather, traffic and other factors. Q: How far in advance do I need to schedule my shipment? A: During the busiest times of the year (summer, holidays & school breaks) we advise allowing 5 to 10 days for your shipment to be scheduled, and 15 to 20 days for delivery. Faster delivery times are general the rule the rest of the year. Q: What if my vehicle is not running? A: If your vehicle is in towable condition (ie. not wrecked) we can still transport it for an additional fee. Q: How do I pay for my shipment? Q: Do you accept Visa or other credit cards? A: Visa and other credit cards are not accepted for payment on domestic or international shipments. Q: Do you have pick-up and delivery services door to door? A: Yes, we can pick- up or deliver your vehicle at your home or business for an additional fee. Please consult with us. Q: How much gasoline should be left in the tank of my car? A: Please leave no more than 1/4 tank of gasoline in your tank. Q: Do you have drivers transport your vehicles? A: No, we do not presently offer this type of service. All vehicles are transported on Car Carrier semi-trailers, flatbed trucks or vessels for the safety and convenience of our customer's property. A: Yes, we can ship vehicles anywhere in the world. We have shipped vehicles to and from more than 25 countries. Q: Do you ship other types of vehicles (boats, motorcycles, motorhomes, etc)? A: In some regions we can. Please submit a Special Transport Request with the specific information on your vehicle or equipment.